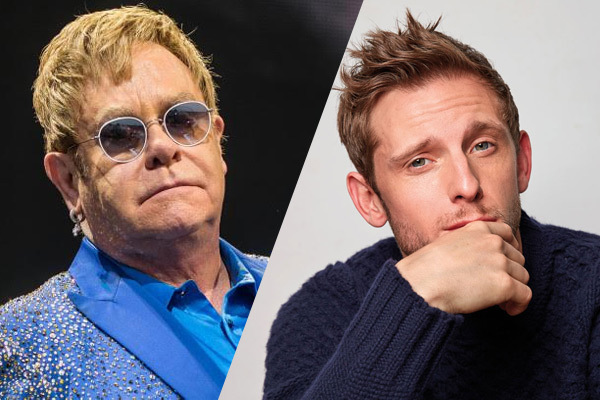 MUMBAI: Actor Jamie Bell is in negotiations to play Bernie Taupin, the famed songwriter who collaborated on 30 albums with the legendary Elton John, in the biopic Rocketman. Taupin began collaborating on songs with John back in 1967, when both answered an advertisement for talent placed in the New Musical Express by Liberty Records A&R man Ray Williams. Though both were rejected for that job, John would stumble across Taupin's poetry, leading to one of the greatest music collaborations ever. The two worked together on hits including Crocodile rock, Honky cat, Tiny dancer, Candle in the wind, Saturday night's alright for fighting, Bennie and the jets, and Rocket man, reports variety.com. Dexter Fletcher is attached to helm the project. Lee Hall penned the script. Paramount Pictures will finance and distribute the film, in which Taron Egerton will star as John. MUMBAI: Legendary singer Elton John has joined Hollywood star George Clooney’s call for a boycott of nine hotels owned by the Sultan of Brunei, after the Southeast Asian leaders’ nation enacted new laws making homosexual acts punishable by death, starting 3 April. MUMBAI : Rocketman, a biopic on the legendary singer Elton John, which was earlier scheduled to release on May 17, 2019, will now open on May 31,2019. MUMBAI: Rocketman, a biopic on living legendary musician Elton John, will release on 17 May, 2019. MUMBAI: Musician Elton John, who has a brand new musical ‘waiting to go’ and is working with singer Jake Shears, says he will always going to be interested in creative stuff. MUMBAI: Legendary singer Elton John finds singer-actress Miley Cyrus as the sexiest lady in the "whole wide world".